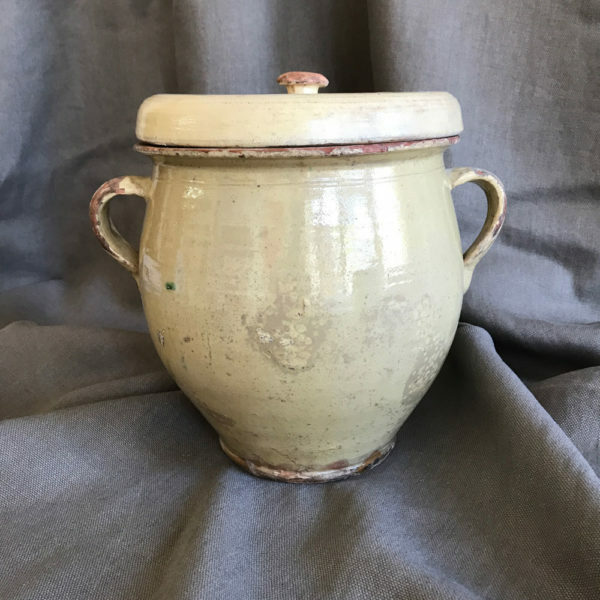 19th Century cream terracotta Preserve Jar with lid, the ultimate Winnie the Poo Pot! 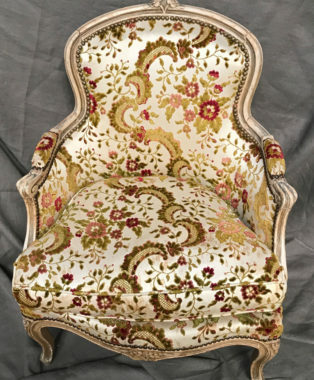 One of a pair of Louis XV salon Tub Chairs. Pale Cream distressed paint finish. 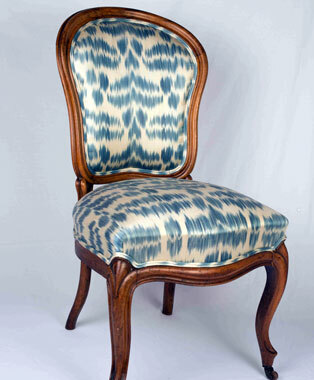 An antique french walnut chair upholstered with a handloomed silk/cotton fabric from the Ferghana Valley in Uzbekistan. 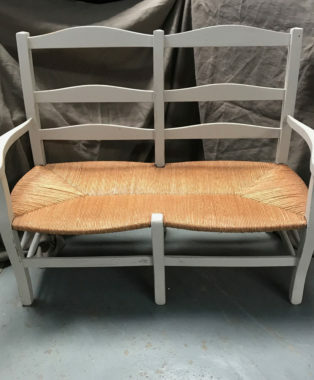 Vintage French Salon chair. 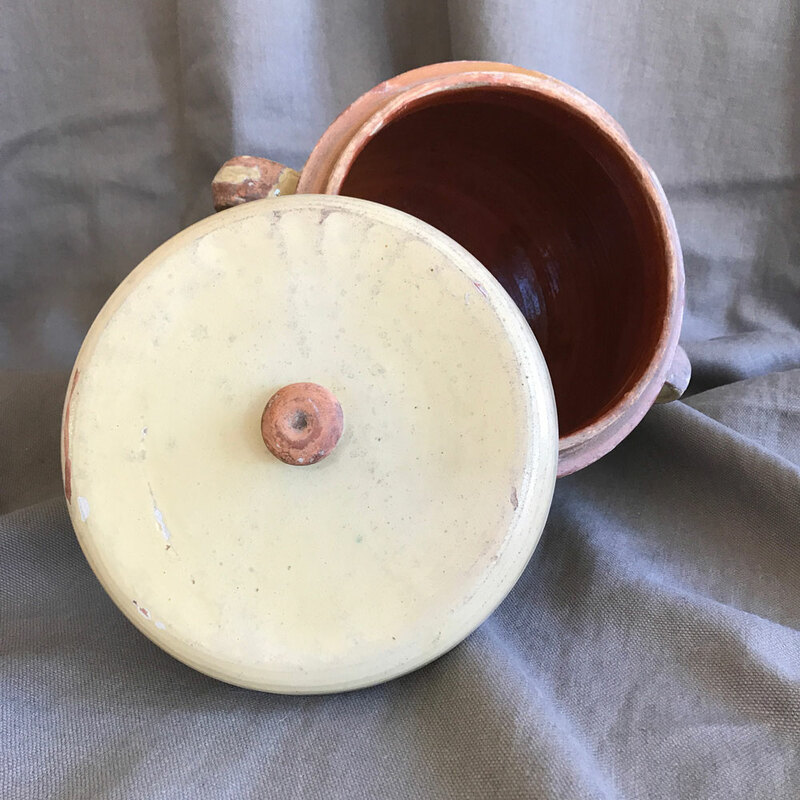 The seat is a beautiful vegtable dyed leather. 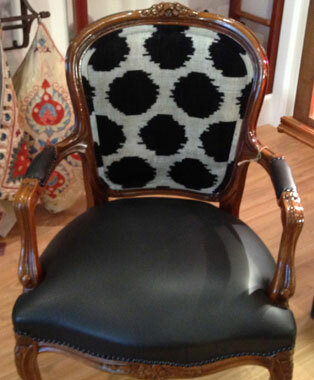 The Back is a silk velvet ikat sourced in Uzbekistan.